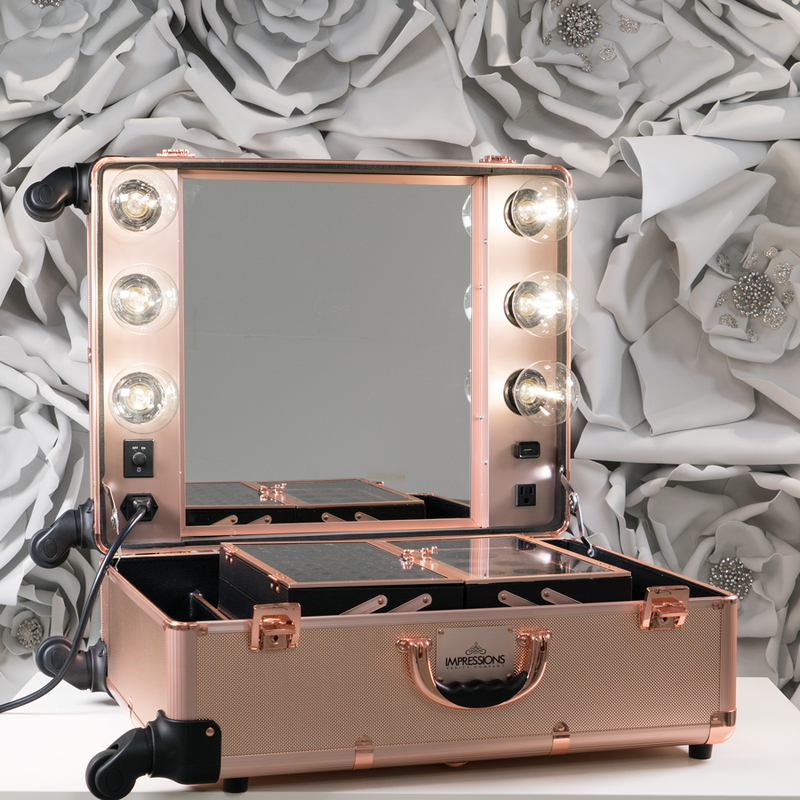 Impressions Vanity Co. is a relatively new company that is taking the beauty industry by storm. Founded in December 2014, the company specializes in “all things related to glam room and makeup lighting.” In just a few years of existence, the company is constantly moving forward and expanding its creative innovations with state-of-the-art technology. If you are a makeup artist in need of reliable, high-quality airbrush tools at an affordable price, Graftobian Makeup Co. has the perfect solution for you. Graftobian’s GlamAire™ Beauty Set is an impressive value pack that consists of their Walk-Around System airbrush makeup kit (cleansing fluid included), GlamAire™ Sampler Packs (HD makeup), and a DVD titled, HD Makeup 101.